Everyone faces challenges in business and in their own ability to effect change. But knowing how to address them can be the difference between momentum and stagnation. With over 20 years of experience working in Fortune 500, startups, companies, B2C and B2B businesses, I’ve seen the roadblocks from all sides that have inhibited companies from achieving their goals. What I’ve learned is that no solution fits all. What may seem complex can be broken down into simpler, digestible parts that can be tackled. It requires understanding the context, learning and adapting all while finding the solution that may work best in your environment. And sometimes the best advice comes from individuals outside your industry. 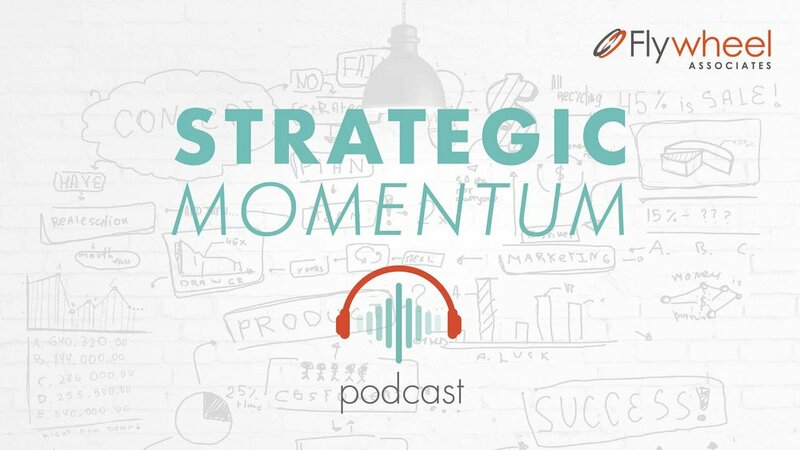 This is why I’ve created the Strategic Momentum Podcast. My mission is to help people and the companies they work for break through the inertia they face in their organizations so they can reach their full growth potential. By sharing the perspectives of and recommendations from executives, entrepreneurs, and progressive thought leaders, the podcast strives to provide the insights that will be a catalyst for forward movement. Because it’s about understanding the ‘how’ that will create the strategic momentum you are striving for. And with the right resources, you don’t just move forward, you can accelerate. Subscribe to the show on iTunes and Google Play to get new episodes as they air. Please leave a review to let us know how we’re doing! Subscribe to get our monthly email with links to the latest podcast episodes and show notes. I’m constantly looking for thought leaders to share their stories and perspectives. If that’s you or you know a good candidate, contact me at csteele@flywhweelassociates.com or fill out this form. Please feel free to send topic ideas as well.